The Orioles impressive comeback win last night give them the best record in the majors currently. They now head down to D.C. for two more games with the Nationals. Wade Miley returns to the mound tonight after an early exit in his last start. 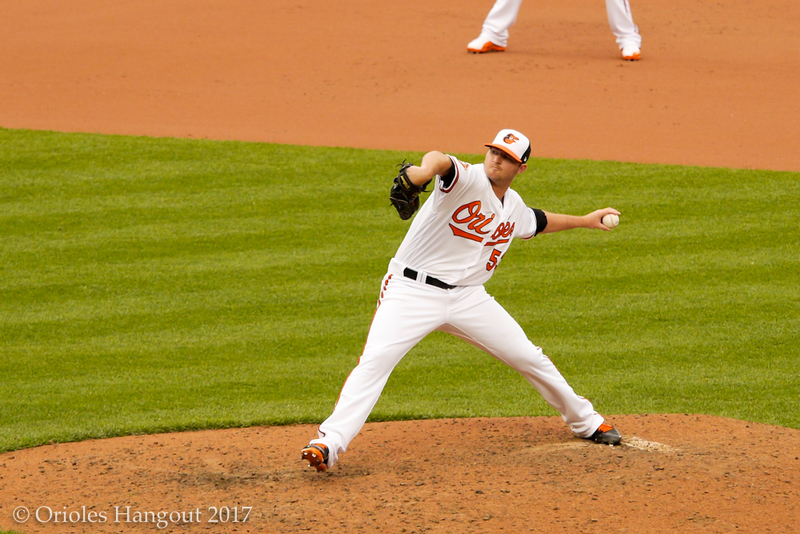 Roch Kubatko also has quotes from Zach Britton and the latest roster rumblings. According to team sources, Britton could potentially miss two months. Logan Verrett came to the rescue in extra innings again yesterday. Nice to see guys like him step up when called upon. Welington Castillo is progressing while Rule V pick Anthony Santander is shelved again the Baltimore Sun reports. Dean Jones reports that Pedro Alvarez is struggling at Norfolk while reliever Jimmy Yacabonis is excelling. Previous articleOrioles Rally In the 9th; Win 5-4 In Extras! Next articleWhy Swing at the First Pitch? Goodbye Home Run! First Pitch Homers.